Sometimes when you're having a really bad day one person can change your whole mindset. I was feeling rubbish this morning. I'm not sleeping very well at the moment and K is having a tough week too so when i woke up this morning i had a little grey cloud over my head. I left the house feeling overwhelmed, overtired and stressed. And then i crossed paths with a lovely woman who did something to make my life easier. I'd never met this person before and she had no reason to go out of her way to do something nice for someone else but just did. She gave me a lift to the bus stop. You may be thinking Oh Wow! You're so grateful for this? Get a grip love. But actually yes i was so grateful. Because the College that K attends is 3 miles outside of town in a small village and i don't drive. The local bus only runs to this village once a hour. We get off the bus, walk five minutes to the campus, i walk K to the door and say goodbye and then its an hour wait for the next bus. The bus goes round the village in a loop so if i could back to the bus stop in about 4 minutes then i can be home an hour earlier. What a difference this makes to my day and my state of mind. Firstly i have an extra hour to myself. Secondly my stress levels are immediately reduced because I'm not sat on a village bench for an hour with my brolly and dying for a wee. And thirdly its just really nice when somebody does something for you purely because they want to. This isn't intended to be a preachy blog. I'm not perfect. I tut impatiently when someones holding me up, i don't always notice that i could do something to help someone else. Without that gesture this morning i probably would've trudged through my day not giving it a second thought. But standing there waiting for the bus i wondered.. 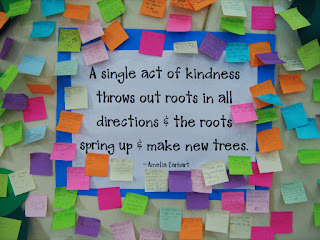 If everyone did one small thing for someone else out of kindness, just a tiny thing, how much happier would we all be? How many peoples spirits could i lift just by lending a hand to someone or even taking the time to notice them. So here's my list of Acts of kindness that i will try to do for others.They wont cost me anything and might make someone else smile. Give up my seat on public transport for someone who needs it more. Take the time to ask someone if they are OK.
Has anyone ever shown you an act of Kindness? how did it make you feel? 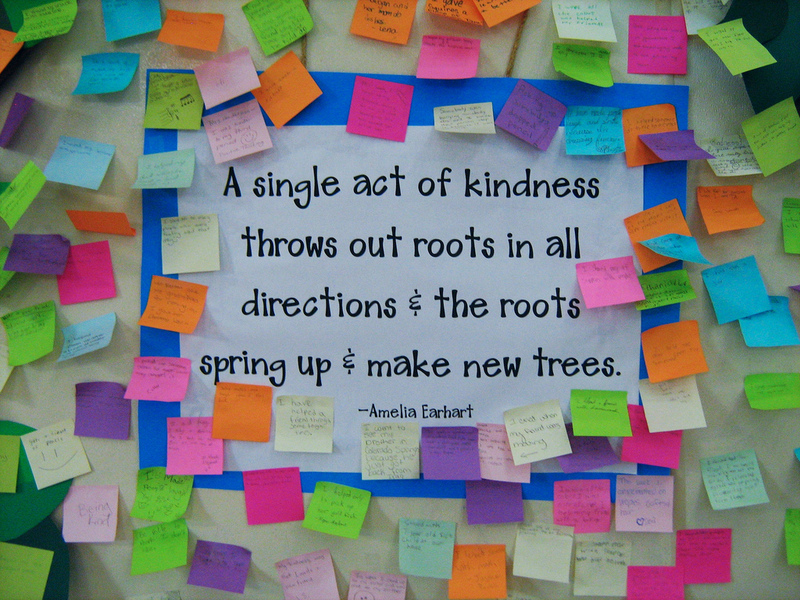 Any suggestions for acts of kindness you feel would make someone else's day a little bit easier? The closing date is 31st October 2017 at 23.59 (GMT). The winner will be informed by email within 7 days of the closing date, and must respond within 7 days to claim their prize. I find my daughters dark days very difficult to cope with and sometimes hard to understand. Sometimes i feel so frustrated. She's had a great day, shes been out and about. She has smiled today. She has laughed today. She has engaged with others. Yet here we are at 8pm. She is laying on the sofa, she won't engage, she's crying. shes telling you how much she hates her life and that she wishes she was wasn't here. Distraction won't work, talking about it won't work. i just have to sit and watch. K has been on medication now for over a year. I was very reluctant at first for her to have anti-depressants as she had just turned 15 and it seemed so permanent and i guess the end of what my mind kept thinking could be 'a phase' or a temporary state of mind. But she really needed them, she had constant anxiety that someone was going to hurt her, she barely slept and experienced constant Suicidal thoughts. Her dependency on me was so bad that she actually used to knock the back of my shoe off my heel by walking so close behind me when we were out and about. She slept in my bed with me and didn't leave my side. The meds have helped. But don't be fooled into thinking they will solve everything. I suppose i thought that they would balance out the faulty serotonin levels and she would be better. The reality is they take the edge off. They help her get out of bed. They help her leave the house. They help her to talk to people that she doesn't know. They help her to be more open and able to work with professionals. But these dark days still come. Sometimes they rumble into a bad week. I think it is specially hard for her at the moment. After a year of being tucked away at home with me she has just started college three days a week. And she is doing amazingly well. As I've said in previous blogs my daughter amazes me. She is at constant battle with anxiety, self-harming and self-loathing and yet she still keeps pushing forward and that's why i know she will be OK in the future. That's why we keep plodding on and ride out the storm. 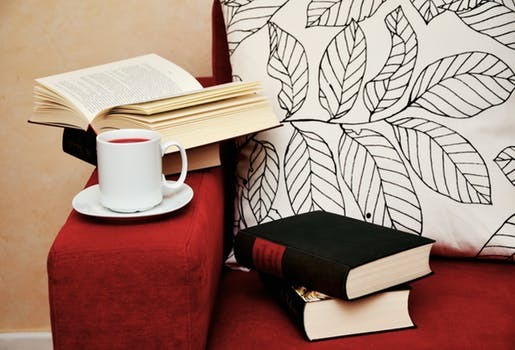 There are some fab books which offer advice and support to carers . This is a great book because it is very focused on recovery. It explains the various forms of treatments and explores the use of medication, i was recommended this book by a professional and found it very helpful. In modern society, Social Media is both a blessing and a curse. We are all so dependent on our phones and letting the world know what we're up to, checking in at amazing locations and sharing our every movement. Don't get me wrong. I love Facebook and Twitter and probably spend at least 2 hours a day scrolling, retweeting and expressing my agreement and amusement with various emoji's. Its what we all do now. Its part of everyday life. I'm old enough and ugly enough to take what i see at face value and like to think I'm not overly influenced by the opinions of others. But as a mum of two young people social media really worries me. The NSPCC state that 67% of 9-16 year old's have at least one social media account and this figure raises to 92% in 15-16 yr olds. Before i talk about my concerns and why in many ways i wish social media platforms would vanish forever i want to talk about the positive aspects. Social media offers young people a platform that we never had as kids. Its fantastic for making friends all over the world and connecting with others that share the same passion and interests. Its a great way to develop a young persons self identity and gives them the opportunity to express themselves freely. For those who don't have a confidante in their physical lives or find it hard to talk to others its a great way to seek out advice and guidance and there are some fabulous organisations, communities and self-help groups offering support. Having access to other peoples experiences of mental health can be hugely beneficial for young people and i feel offers them the chance to share their worries and make positive choices. For Young adults going through experiences that make them a minority in their physical life such as being LGBT or struggling with eating disorders, they can find themselves a community from all over the world to share their struggles and can resonate. Gone are the days where you could size up the people your teens are conversing with at the front gate when they called round. These days we have no idea who these people are or indeed if they are who they say they are. I have personally dealt with the repercussions of an online offender and the damage it has caused to someone i love. It is life changing. Another of my concerns is the unrealistic ideology's that apps such as Instagram and Snap chat create. 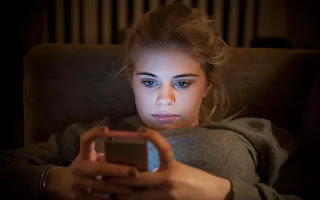 Posts of people out having amazing experiences such as parties, festivals and sleepovers have left my teenager feeling isolated and an oddball. Celebrity Instagram posts of their size 8 waists in tiny bikinis on tropical beaches or men with massive oiled up muscles promote poor body image and inadequacy in our boys and girls, when in reality, we as adults know that these gorgeous people are the exception and not the rule in normal life. My biggest worry and one that i have dealt with first handed is online communities and self-help groups that are popular on Facebook and Instagram . These groups are normally formed by well meaning people who aim to help others and offer a safe haven for those who are dealing with issues that they don't want or cant talk to their parents about. Whilst these are well meaning, they aren't professionals and sometimes do not have the skill to help those in crisis. My daughter has been a member of groups where posters have been in a serious mental crisis, asking for help and expressing suicidal intentions and then going offline. This has caused K great upset as she is then left worrying for hours as to whether this person is OK and still alive. I have also witnessed posters offering the completely wrong advice to others and also sharing pictures of self-harm and anorexic sufferers. It is worrying to me that these groups go un-moderated and with no lower age limit. Decisions on suitable content is left to the Page or group creator to an open platform. So as parent what can we do to protect our kids? A natural reaction is to whip their iphones out of their hands and tell them they aren't allowed social media. But in my opinion this only leads to secrecy, social isolation and sneaky hidden devices and then you'll have no idea what your young ones are up to. Its important to have open and honest discussions with your teen. Its important that you let them know that you're aware there are things they don't feel comfortable talking about with you. Ensure they understand not to share their personal details with online friends and never to share their password. Steer them toward websites such as Young Minds or Live about which offer some great articles on everyday issues facing young people. Childline offer phone help and web chat for young people to talk in privacy without fear. Remind your teenager that people only post the absolute best or absolute worst of themselves online via Instagram and Snap chat and that these are unrealistic expectations. No ones life is wonderful all of the time. Ensure they know how to report and block on Social Media and advise them to flag up any concerns for others safety to you or another adult so they don't have to carry that burden. If readers have any further suggestions or advice please feel free to leave a comment. Here are some helpful books that can support parents with social media use and teens. Over the past 18 months my life has become immersed in keeping someone else safe and meeting all K's needs that i seem to have completely lost any sense of myself. Caring for someone else can be so consuming with a constant trail of appointments, meetings, telephone calls and conversations all based around that person i start to see only her. It was pointed out to me that i was 'the shell of the person i used to be' by someone close to me and although that statement was hurtful both K and i knew it was true. I've never been an overly social person but before i gave up work i was a supervisor for a team of 12 and spent my days dealing with NHS patients and providing services. I really enjoyed my job although it was stressful at times. 18 months later and very few of these colleagues have stayed in touch and I'll do a Usain- style sprint to avoid bumping into them in town. Mostly because i hate the person I've become, I don't wear make-up anymore and haven't had my hair cut in months and also because i hate the way people look at me when they ask how K is. I Always think they either think that they are so glad its not their child going through this terrible time or how much I've changed. So whats the answer to protecting ones identity and looking after yourself when caring? Contact your local services for a carer's Assessment, as this can open doors to more support. Eat a balanced diet and look after yourself. Consider Respite care or staying with a family member. In reality taking time out for myself is very difficult. At the moment things are a little better, K has started College three days a week and i am finding more time for myself. The important thing to remember is that if you don't maintain your own well-being you will not be able to care for the person that needs you and that sometimes you need to be a bit selfish and say actually this is what i want to do. If anyone has any other ideas for taking some time out for yourself then please do leave a comment. Any ideas are appreciated. 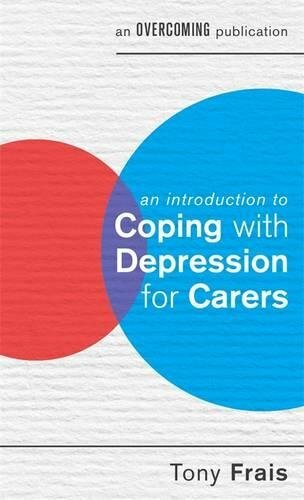 The book explores the nature of depression and how to cope as a carer, the treatments available for the sufferer and advice on how to maintain your own wellbeing as a carer. 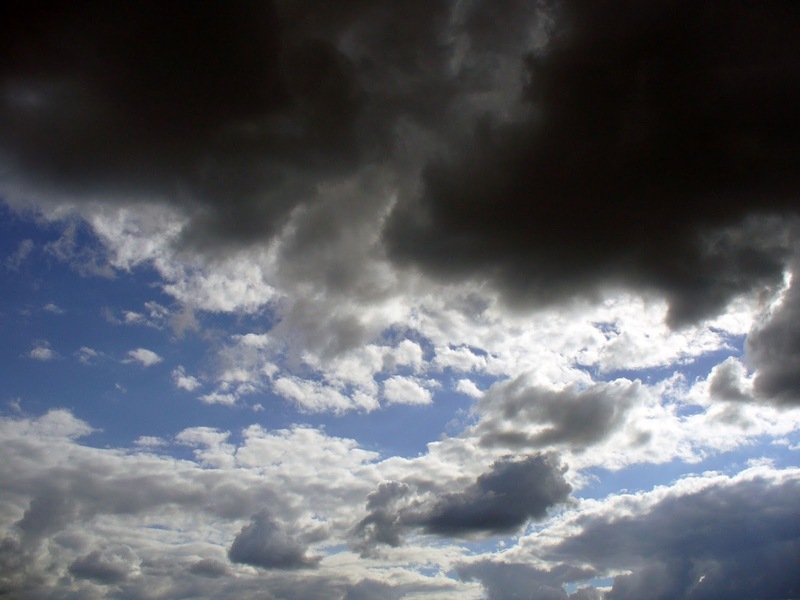 I start this blog by emphasising the 'Our' in this story. As I'm the carer for someone that i love more than i can ever express and although i am the carer the dependence is very much two sided. I am a single mum of two lovely children living in Somerset. i am 39 and am a full time carer for my daughter who i will call K.
My daughter was always abit 'high maintenance' right form the moment we met. She arrived into the world in 7 minutes with no pain relief, on the maternity ward in front of all the expectant mums and from that moment my life changed forever. She was a difficult baby and would cry for hours for no apparent reason, she slept in my bed with me as a toddler and wouldn't ever settle for anyone else. She displayed some obsessive traits from an early age and always seemed to find the outside world difficult to navigate. As she grew up she developed normally and although she excelled academically, socially she found the world very difficult to understand. The first signs of anxiety were displayed at age 8 when she started to pull her hair out. I can still vividly recall the telephone call from the school headmistress telling me she had found her in the corner of the playground with clumps of hair in her hand. At school she was withdrawn and found it difficult to make friends and at home she was angry and difficult to manage but yet so loving and tactile. Secondary school proved very difficult for K. She gained weight due to isolation and loneliness and continued to struggle socially. She became a target for the ominous 'school bullies' and her mental health started to decline. In the summer of 2015 i first noticed a little cut on her arm. After further investigation i discovered she was self-harming and sought advice from our GP who wasn't particularly helpful. After two refused referrals to CAMH's i struggled on, working shifts at the local council whilst trying to understand what was going on with her and how i could help her. This is where the guilt kicks in for me as a mother. Because something traumatic was happening to my daughter right in front of my eyes and i didn't even realise. I don't really want to blog about her experience without discussing with her first but there was a crime committed and my daughter was the victim. a systematic crime that went on for over a year that i was completed unaware of. Three weeks before Christmas 2015 i received a phone call from Children's Services informing me that a person had been arrested and charged for a crime against my child that i didn't even know about. and then my world fell apart. In complete shock i began 2016 continuing to work and trying my hardest to support and understand what K was going through. Another referral for CAMHs was refused as 'not meeting the criteria' and her self harm and anxiety became so extreme she was removed from mainstream classes and put in a small unit education unit. In June she took her first overdose. Her mental health continued to deteriorate and we came to the point where her self harm was requiring medical treatment on a regular basis, she couldn't be left on her own and seemed determined to self destruct and that's when i decided. If my daughter had any hope of getting better and going on to have a decent quality of life then i needed to invest all my time into keeping her safe and helping her understand what was going on in her head. So this is our life. There are so many threads to K. she is a complicated but wonderful girl. Her strength amazes me and sometimes i am completely in awe of what she overcomes. But she is also difficult, single-minded and at times draining. 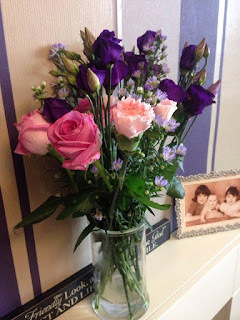 I will cover our journey in these blogs, K and her battle with mental health and mine in this bewildering frightening carers role and i really hope i can help others to care whilst still caring for themselves. This is a great website with which offers links to The Royal College of Psychiatrists with fact sheets on mental health, personal stories that i can really relate to and some great advice on how to manage and prioritise yourself. In my opinion this is one of the best sites for help and advice as it covers financial advice as well as well as exploring the actual carers role and how to maintain your own well-being. This a really useful website with lots of information and advice on mental health. I especially love the fact that this site has web chat which is available from 10am to 1pm and a telephone helpline open daily between 9.30am and 4pm. I used this forum a lot when i first became a carer. It has many experienced contributors and really helped me when i was trying to understand the different areas of financial support i could get. It has lots of sub forums so there are many conversations happening and there always seems to be someone around to chat. It is important to remember when using forums that the writers are not professionals and can only draw on their own experiences to offer advice.